We can do a lot of things with that kind of money. How much are you willing to pay for a vehicle registration number plate? While some of us are wincing at the RM300 we have to pay for the number we want, there are those who are willing to pay more. The Star Online reported that the special 'Malaysia 1' number plate has been sold for a record-breaking price: RM1,111,111, to be exact. According to Transport Minister Anthony Loke, the winning bid was put in by local property investment company Aldi International Sdn Bhd. Loke revealed that there were a total of 3,353 successful bids for the number plate, which was put on sale on 1 August. Through this exercise alone, Loke said the government earned more than RM13 million. So rich lah these Malaysians. If you missed out on 'Malaysia 1' (of course you did, because who in their right mind will spend RM1mil on a number a number plate? 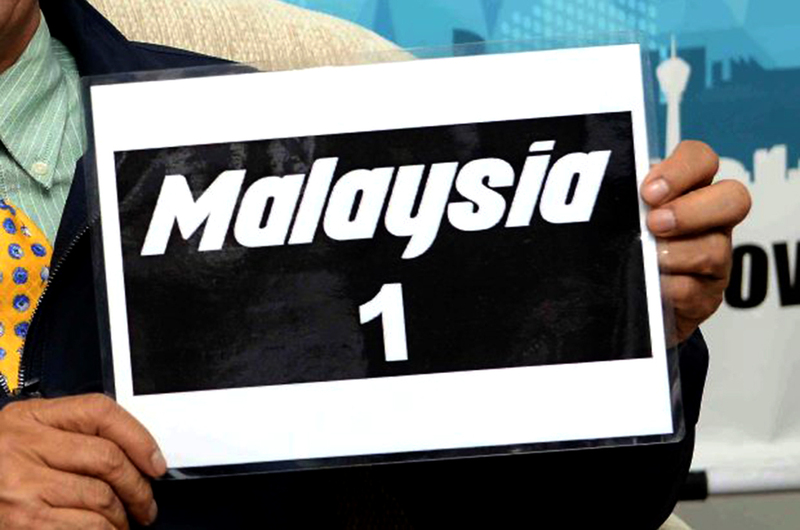 ), fret not; Loke revealed that there are still 6,645 numbers available in the 'Malaysia' series. The only number you can't buy from the series is '2020', as it was reportedly reserved for Prime Minister Tun Dr. Mahathir's official car. Previously, the most expensive number plate was 'V1', which was bought by the Sultan of Johor, Sultan Ibrahim Ibni Almarhum Sultan Iskandar, for RM989,780. We'll stick with our 4444, thanks. Hurray! Free Petrol for Motorcyclists in Federal Territory Beginning April!